Bulk payment for partial invoices/bills can now be done in JuanTax. 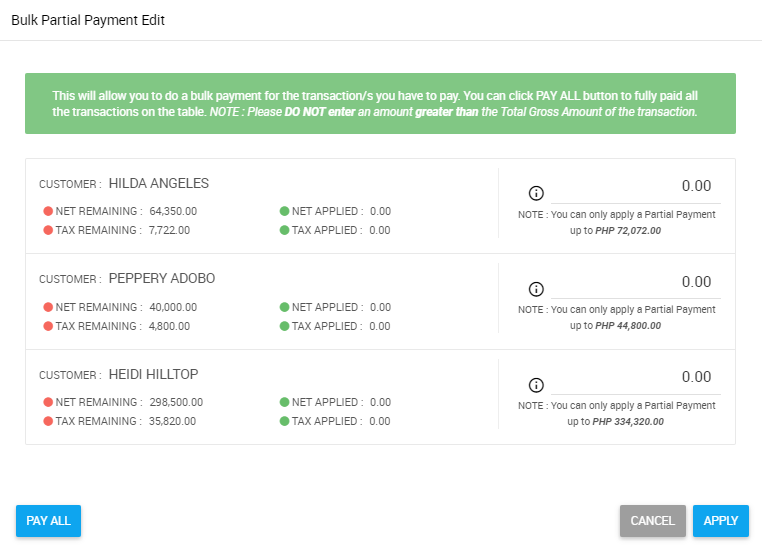 In our latest release update, JuanTax now lets you make bulk payments to partial invoices/bills in your tax report. All you have to do is go to the Partial Payments tab of your tax report, and select the transactions that you’ll need to pay, click the Bulk Payment button and that’s it! Visit this article from our Help Center for you to learn more about this new feature in JuanTax.